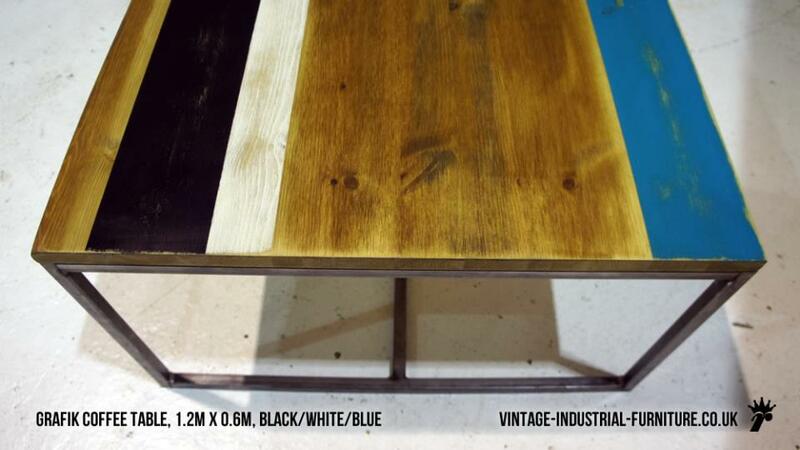 A vintage industrial striped coffee table based on our Grafik model. The stripey top sits neatly upon a frame of self-colour square tubular steel. The top can be supplied in either a satin finish or a super high gloss finish. Please specify in the checkout message box. 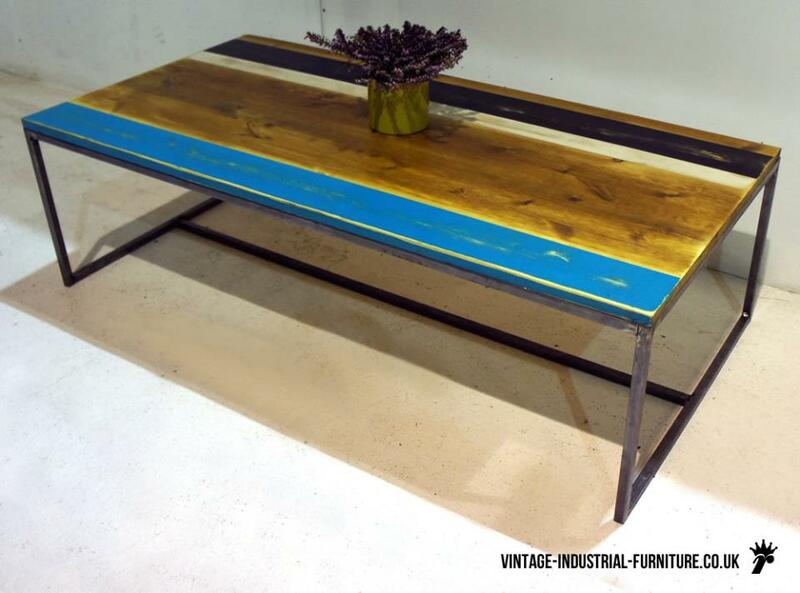 The steel frame for this vintage industrial striped coffee table is constructed to be sturdy but slender and elegant, avoiding the chunkiness sometimes associated with this style. Other sizes and finishes available, including bespoke - please see our main Grafik coffee table page.